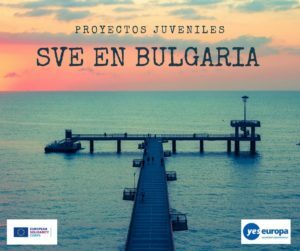 Te ofrecemos 2 plazas de voluntariado con animales con el servicio voluntario europeo en una protectora de animales de la capital de Lituania, Vilnius en un proyecto que ya ha contado con participantes de España (lee más abajo sus experiencias). ¿Te gustan los animales? ¡Anímate a solicitarlo! 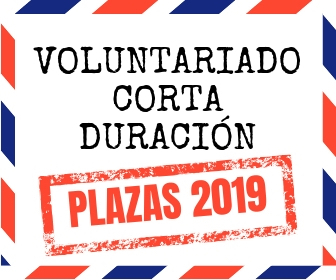 Por si acaso tenemos otras plazas de voluntariado en Lituania. From 8 of March 2018 till 8 of January 2019 (10 months). Back in 2007, the organisation was founded by volunteer’s animal lovers, who started to shelter homeless animals at their homes and advertise them for adoption. In 2008, we opened a proper animal shelter and since then has adopted over 4 500 animals.  Establishing an animal shelter meeting EU standards and creating an effective animal rescue system. 1) Directly related to animals is catching and transporting stray cats for the program Trap-Neuter Release. 2) Various tasks in the shelter: cleaning cages and rooms, feeding, providing treatment procedures, walking dogs, cosmetic pets care (washing, haircutting, preparing for photoshoot atc. ), participating with other volunteers in national Dogs show, visiting our teams in other cities: Kaunas, Jonava. 3) We welcome all who wish not only to save animals, but also help with administrative work: posters, design of leaflets, photographing pets, sharing ads of pets to foreign and national announcement portals, increasing social awareness, searching for potential sponsorship, communication with foreign countries, writing articles to foreign communities in Lithuania, spreading information about animal welfare organisations, responsibilities while volunteering in such organisations, about animal rights in Lithuanian schools. The recruitment of future volunteers we expect to be clear and organised. During severalmonths, data of different candidates will be collected and studied. The selected candidates will be then contacted to ask if they are still available for the project. Then, all staff-members have a meeting together, and make a list of the best candidates and talk about them. After this, responsible persons of our organization will have Skype conversations with few candidates. In the end, the EVS coordinator makes her selection and contacts the candidate with the good news. 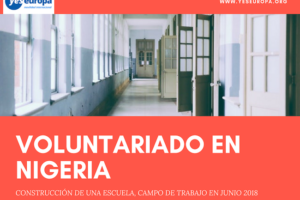 As a minimum requirement the volunteer must be self-motivated for the activities carried out at the project, preferably having some previous experience and special interest in the field. It is important to mention that volunteer should not be afraid of dogs or cats and certainly should know if he or she have any allergy to animals. The first day in Lese was a completely shock for me, mostly because I come from the south of Europe and the shelters there are completely different, they don’t have small cages inside but only big cages outside. I felt really bad about the doggies. I was thinking that they are all day in such small cages and that they are not happy. But Later on I discovered that Lese is one of the best shelters Lithuania. The volunteers and especially the director and the other worker care so much about these little doggies and kitties that it’s so obvious that these animals are so happy! The dogs go out more times per day than a house dog, the kitties have the best furniture, the best pillows, and the best toys. Most of the volunteers are very responsible and they take great care of them. I mostly work with the cats and I have to say that it’s a very dirty job but it’s also the best job I ever did! You need to work hard every day, but you also have a great feeling when you look at those cat faces. So how the job gets done? 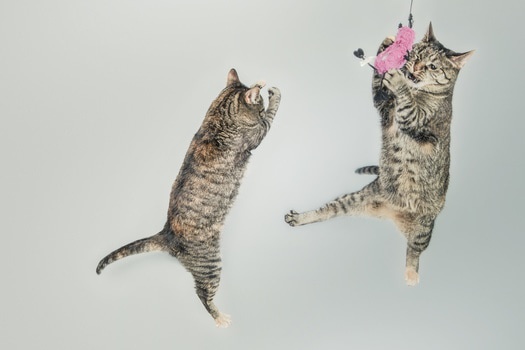 There are some rooms with free cats that you have to clean, like cleaning the sand, the furniture from the hair, change food and water and there are also rooms with cages, there you have to change the carton, the sand, the water and the food in every cage. You also have to pet and play with the cats because it’s very important for them. The medicine procedures are also something very important that we do every day. Afterwards we need to clean the rest of the shelter and put the things in order. The thing that u need to work in Lithuania is to be hard worker, responsible and to really love animals! It’s one of the best experiences in my life!! My project started on September. I needed to get used to the new country, new language, new people, new style of life, etc. The first day in the shelter was only to learn our daily tasks. We went with our mentor. She explained us everything very properly and clear. The day after we started to do everything alone, obviously with the support of the rest of the volunteers and mostly Rasa and the Director Vesta. They are very nice people although the language sometime is a barrier, but anyways we are a team and we know how to communicate to each other. After some days we knew already how to do everything. I chose to work with the dogs and my colleague with the cats, so now I ́m kind of responsible of the dogs, I say “responsible” cause I feel like this, in the good way. Rasa, the real responsible of the dogs trusts a lot in me to take care of them and to show the shelter to the people who are visiting us. In our shelter they have a lot of information about the rules, the portions of the food that the animals eat, the procedures, new rules, cautions,… and they also have groups on Gmail or what Sapp to communicate everything, but the problem is that everything is in Lithuanian. The thing I miss the most in my work is to know everything about my doggies, their stories and this stuff… the new things that it happens everyday… I want to know everything but sometimes it is hard to them to explain us. Now is my sixth month in Lithuania and I ́m an expert in the shelter, I know perfectly my daily tasks. The new volunteers should know that is really hard work and routine (the same tasks everyday), and is very important that they love animals. 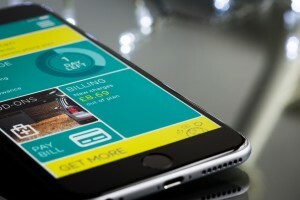 From my opinion and experience this is the best project that I could choose. It ́s amazing!! I have the best animals ever, they are awesome and the people around us the same. [box type=”note”]We will study carefully all application and selected candidates will be invite for Skype interview. The selection of volunteers will take place in the coming weeks. 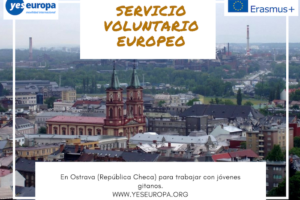 We ask all candidates to send a specific letter of motivation – why they want to volunteer with us rather than just a general ESC (European Solidarity Corps) one. 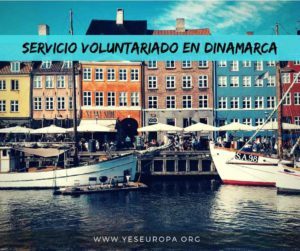 The volunteer is chosen according to his/her motivation and interest to the project and to the activities. It will be paid special attention to cover letters. 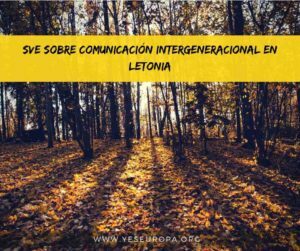 – Motivational letter, writing that your sending organisation will be “Building Bridges”. We ask all candidates to send a specific letter of motivation – why they want to volunteer with us rather than just a general ESC one. 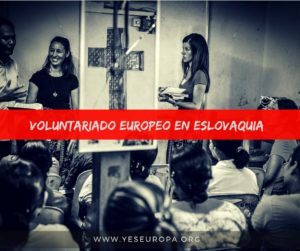 The volunteer is chosen according to his/her motivation and interest to the project and to the activities. It will be paid special attention to cover letters. Remember to write in the motivation letter that your sending institution is “Asociación Building Bridges”.